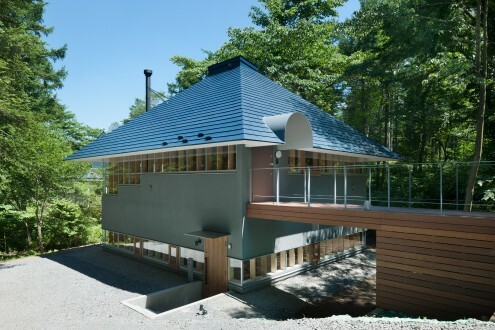 This building, which is located in the mountain resort and holiday home area of Karuizawa, Japan, was designed to serve as both a dental clinic and a residential home. 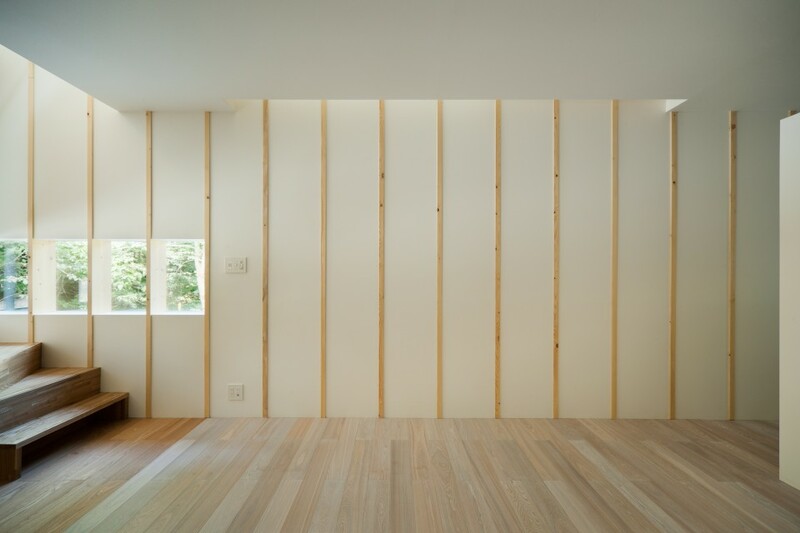 It is the realization of a proposal to build a “super rural” dental clinic, made by a dentist who had run a dental clinic in the city for over ten years. A two-story building was constructed on level ground at the bottom of a slope coming down from the main road. A bridge from the top of the slope leads to the residence on the second floor. 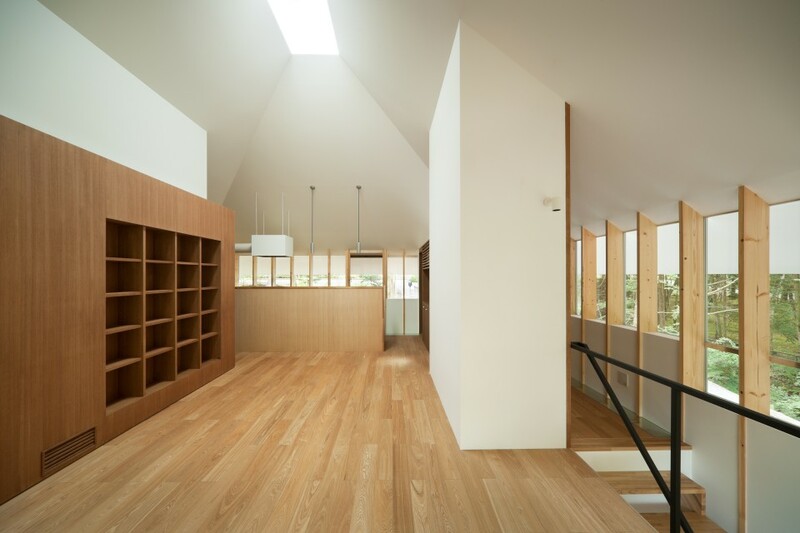 To access the clinic on the first floor, the slope was graded to form a gentler angle, enabling cars to drive down to the clinic entrance area. 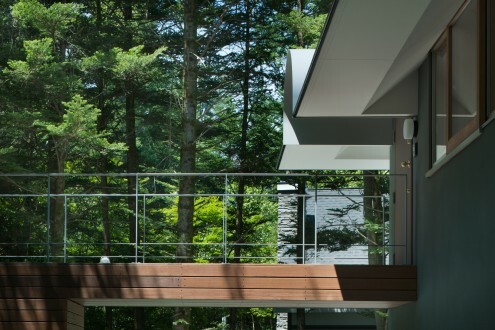 The environs abound in natural features such as vegetation and streams, but neighboring villas and traffic on the road are directly in the line of sight from the building. 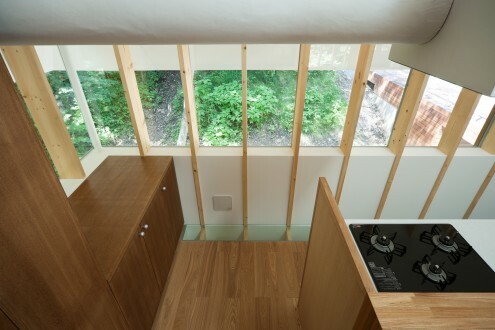 A structurally based design approach was used to deal with this issue, whereby wooden structural elements are fitted to the inner sides of the building’s large windows. 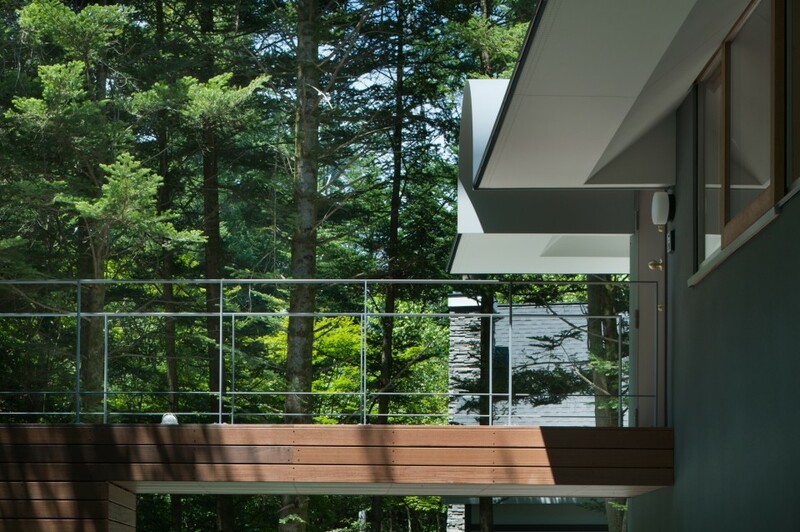 These act like louvers that filter and effectively limit the visual field, rather than allowing an uninterrupted view to the external landscape. 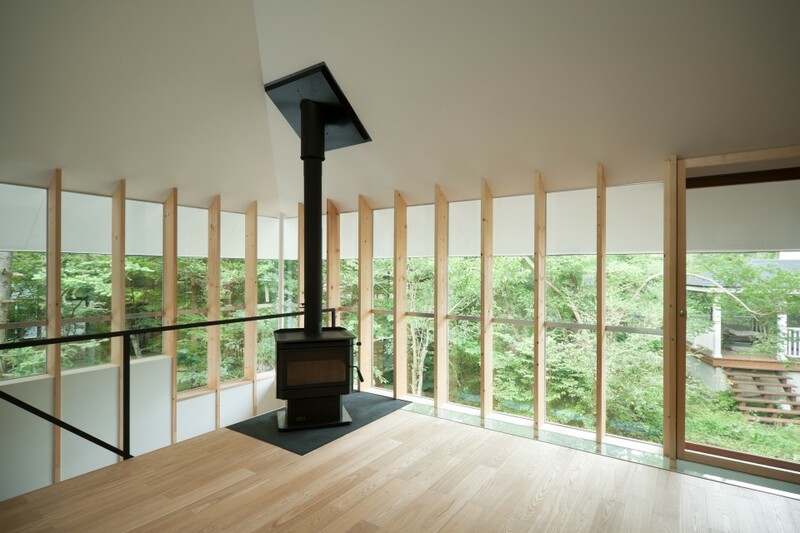 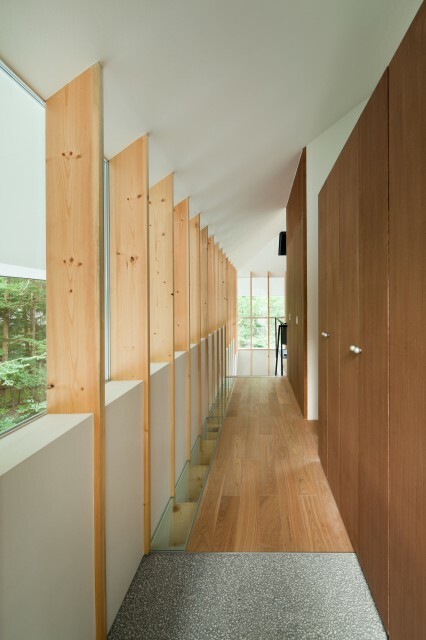 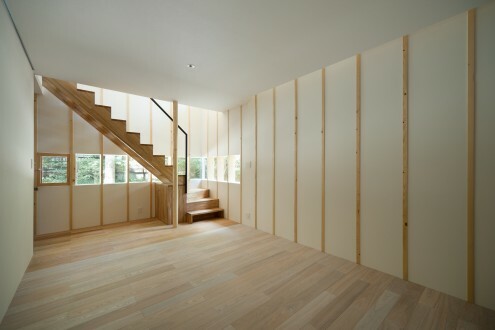 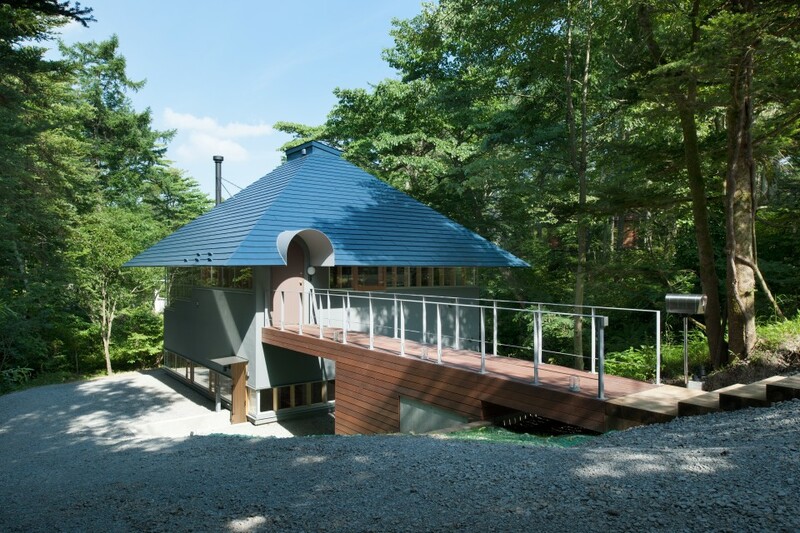 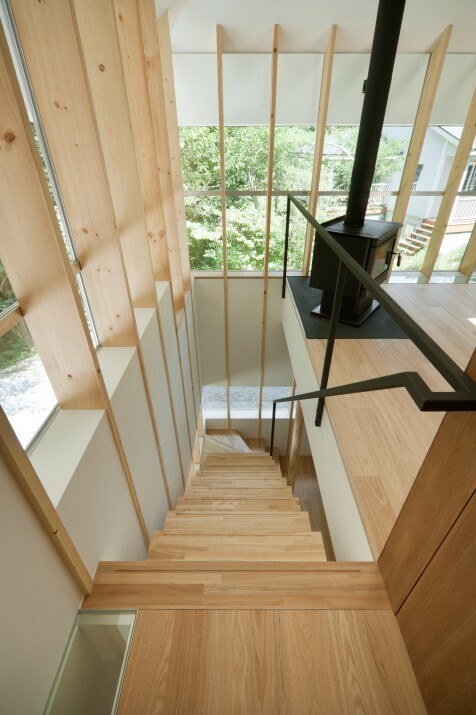 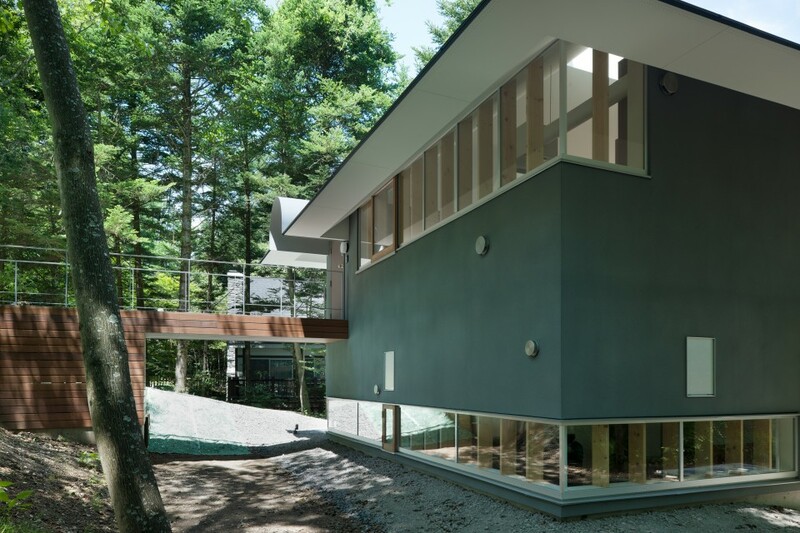 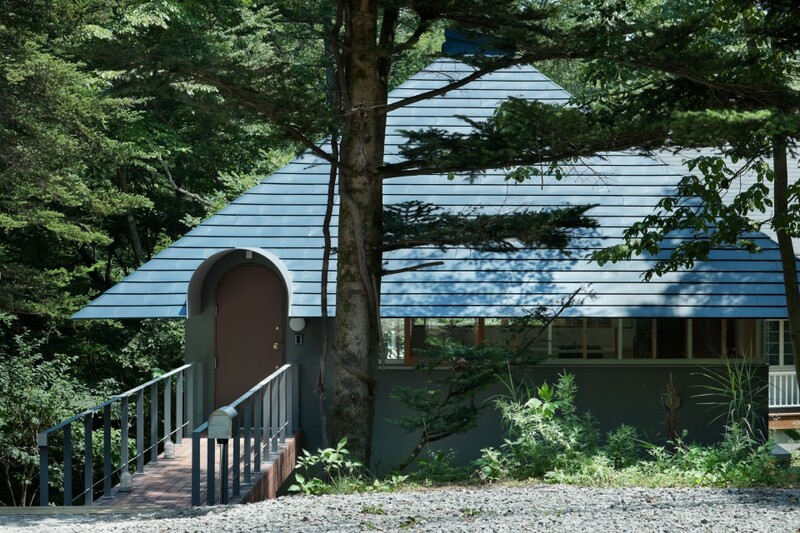 The eaves of the building were extended in response to considerations of the impact of Karuizawa’s somewhat harsh environment. Together with the louver-like beams, these restrict the view to the outside and effectively clip the landscape. 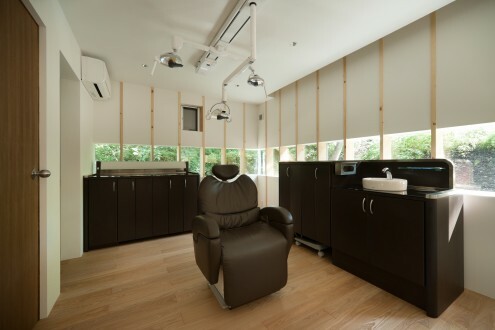 The clinic operates on an appointments-only basis. The consultation room is not cut off from the dentist’s residential space. 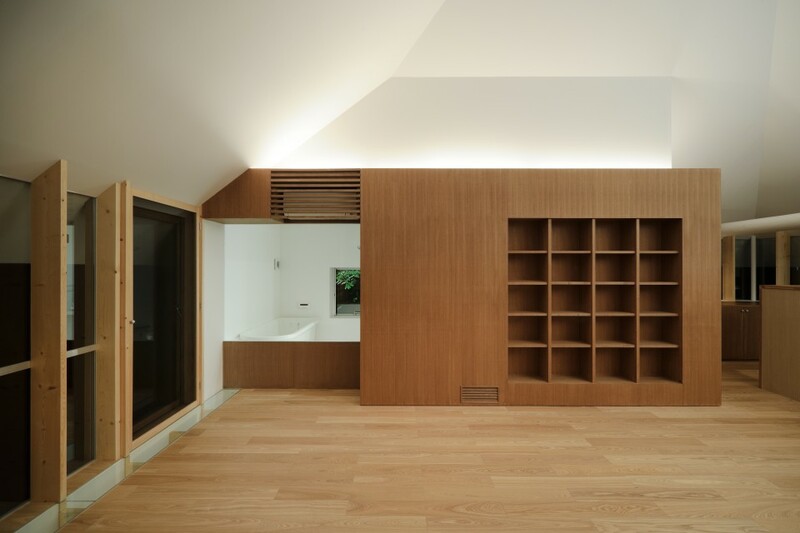 Indeed, long, narrow openings that run along the edges of the bottom floor ceiling allow light through from the upper floor, creating a subdued sense of connection between the two floors. 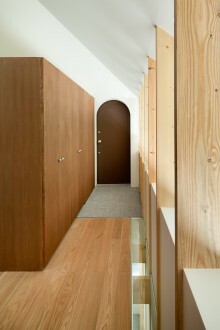 The space facilitates an appreciation of the doctor–patient relationship as something more close and friendly.